To celebrate their first new release since 2009 and their seventh studio album, Codes and Keys, Death Cab for Cutie will be playing all over their native Pacific Northwest and, perhaps just as notably, filming an episode of VH1’s Storytellers. I say “just as notably” because a band filming an episode of Storytellers usually coincides with my mom beginning to like and listen to said band. Which coincides, in turn, with me being no longer able to like them, as their popularity and cultural saturation has grown to a point that threatens the eggshell-thin armor protecting my rock critic street cred. If I were to like Codes and Keys now that there’s a good chance Death Cab is going to be even more ubiquitous, I might have to cut my beard into an ironic mustache to compensate. That said, this review was entered with the hope that I would enjoy it, assumed growth in popularity be damned. Not because I’m a big fan, but because Death Cab is a band you want to like, a lot of which can be attributed to frontman Ben Gibbard. He’s engaging enough that the average listener thinks they might actually have the chance to befriend him, which is part of the general attraction to indie rock acts. Indie rockers are often people we think we could be friends with, and Codes and Keys feels very much like an old friend growing up. The first half alternates between likable highs and forgettable lows, but at track 6, “Unobstructed Views,” the album makes a tectonic shift towards the previously mentioned maturity. Music plays uninterrupted by lyrics for three minutes — a clean break from the front five tracks and the equivalent of hitting the reset button before the second half begins. Once it does, the songs get a whole lot better. Track 7, “Monday Morning,” is the first true single on the record, a song you can imagine coming on at dusk at Somewhere’s summer party, bouncing above the night’s warm, wet breath and the keg’s foaming hiccup. Throughout the back half of the album their trademark emotion, omnipresent throughout their oeuvre, seems self-assured, backed by a fuller and more confident sound. From the catchy, friendly saunter of “Underneath the Sycamore” to “Stay Young, Go Dancing,” a genuinely happy song with a simple thematic conceit that only a band aware of growing up would make, this is a band that knows who they are. If Codes and Keys started at track 7 and kept the momentum going, it could be a great record. Instead it’s a good one with great moments from a band that’s clearly getting better with age. 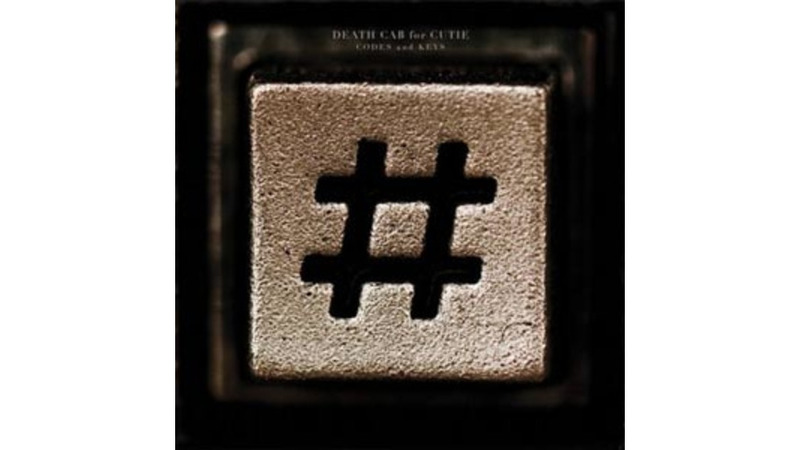 If the course of this album ends up paralleling the path of their career, not only will my parents like Death Cab for Cutie, they’ll be one of those rare bands we all can’t help but love, and no matter how popular they become, you don’t have to change your facial hair once you admit you like them.